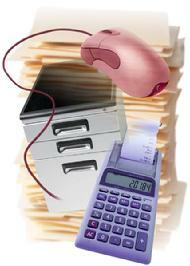 AdSol, Inc. offers a wide range of small business/accounting/bookkeeping / professional and administrative services. Your time is best devoted to your core business. AdSol can save you the time you can't ever seem to find that is necessary to be successful. In addition, AdSol will save you money while implementing these services. AdSol is committed to providing professional services. We strive to recognize your unique business needs and achieve your goals and objectives utilizing an efficient and cost-effective strategy. We understand that every enterprise requires a customized service specific to their needs. Bookkeeping, accounting and data entry require a high degree of accuracy, attention to detail, and a certain affinity for numbers. AdSol demands that for you and your business. Contact us for a free consultation on how we can become your outsourced Administrative department. We can assist you and your business.